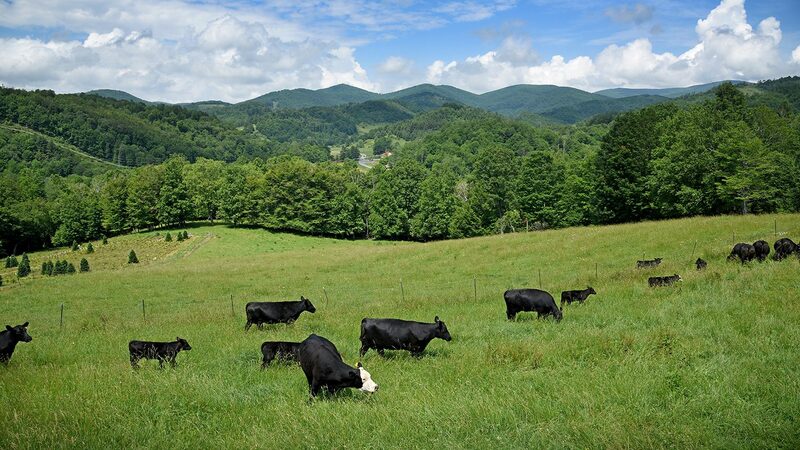 NC Choices has launched a new project aiming to increase the number of beginning farmers in North Carolina raising meat in either pasture-based or silvopasture (a combination of trees and pasture) systems. The idea: provide these new farmers with novel land acquisition strategies, resources and training opportunities. With North Carolina’s more than 24 local land trusts, almost half a million families who own small woodlots, and a rising number of pasture-raised meat producers – not to mention being ranked second nationally in solar production – the state’s citizens are perfectly positioned to benefit a program like this one, said NC Choices Director Sarah Blacklin. “We think this is the right time and place to pilot a project like this,” Blacklin said. The three-year project is funded by the U.S. Department of Agriculture’s Beginning Farmer and Rancher Development Program. NC Choices, a collaboration between the Center for Environmental Farming Systems and N.C. Cooperative Extension, promotes sustainable food systems by advancing the local, niche and pasture-based meat supply chain. “CEFS and N.C. Cooperative Extension have a great team ready to support farmers and landowners with grazing plans, lease agreements, market-buyer connections and best management practices, with the goal of making successful pairings and having a real impact here in North Carolina that can be shared nationally,” Blacklin said. One of the biggest barriers new farmers face is land cost. This is especially true with meat producers, who typically require more acreage for grazing animals. This project aims to identify affordable long-term lease opportunities for new farmers by pairing them with land that might be considered marginal for crop production but suitable, for example, for silvopasture systems integrating trees, forages and grazing livestock, protected lands under conservation easement, and lands designated for solar installations that might benefit from animal grazing management. NC Choices is working with NC FarmLink – a program of NC State Extension that seeks to connect aspiring and expanding farmers with landowners and retiring farmers through a user-friendly database – to maximize ways to find favorable farm/land pairings. Currently, the project is recruiting North Carolina beginning meat producers (defined as raising meat animals for 10 years or less) looking to lease land, and North Carolina landowners with woodland acreage, land under conservation easement, or solar panel installations interested in working with grazing animal production. Farmers seeking land and landowners seeking farmers to graze their land can submit interest forms on the NC Choices website: www.ncchoices.com; or contact Lee Menius, NC Choices technical program coordinator, at lamenius@ncsu.edu. To learn more about the NC Choices Beginning Farmer Project, please visit the NC Choices website. The Center for Environmental Farming Systems (CEFS) is a partnership of NC State University, North Carolina A&T State University and the North Carolina Department of Agriculture and Consumer Services. CEFS develops and promotes just and equitable food and farming systems that conserve natural resources, strengthen communities, improve health outcomes and provide economic opportunities in North Carolina and beyond. For information, visit www.cefs.ncsu.edu. N.C. Cooperative Extension is a strategic partnership of NC State Extension, The Cooperative Extension Program at N.C. A&T State University, U.S. Department of Agriculture’s National Institute of Food and Agriculture and local governments statewide. Extension professionals in all 100 counties and with the Eastern Band of Cherokee Indians connect millions of North Carolinians with research-based information and technology from NC State and N.C. A&T. Educational programs specialize in agriculture, food and nutrition, 4-H youth development, community development and the environment. 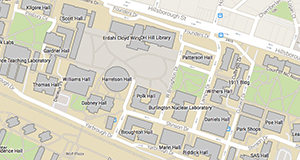 Find your local center at www.ces.ncsu.edu/local-county-center.